Authorities claim that Dalia Dippolito hired a hitman to whack her husband. She was convicted of attempted first-degree murder and sentenced to 16 years in prison. Thus far, she has served nine of those years. Dippolito’s second trial resulted in a mistrial, but her first trial returned a guilty verdict. However, that guilty verdict was overturned because the jury pool was allowed to overhear a comment indicating that Dippolito allegedly attempted to poison her husband by spiking his tea with antifreeze. In the third trial, the judge allowed evidence of Dippolito’s “prior bad acts” including the antifreeze poisoning. In addition, there were text messages outlining that Dippolito and her boyfriend wanted to jail her husband on a probation violation. But the largest piece of evidence against Dippolito was that she hired an undercover officer to whack her husband thinking that he was a hitman. Police have the transaction on tape ostensibly giving jurors the damning piece of evidence they would need to render a conviction. The defense, however, believes that the case should be retried a fourth time. Specifically, the defense is arguing that details of the tea poisoning and her text messages should never have gone before the jury. The state has spent a lot of money in the attempt to convict Dippolito. After their first conviction was appealed, a judge determined that the jury should never have known about Dippolito’s prior bad acts. This resulted in the conviction being vacated and a second trial being ordered. Without access to that information, however, the jury deadlocked 3-3. This resulted in a mistrial and yet another trial being ordered. In the case of a hung jury, the prosecution has the option of either attempting to convict again or not pursuing another trial. In the case of Dippolito, they pursued a third trial. This time, with evidence of Dippolito’s “prior bad acts” included in the trial, the prosecution was yet again able to secure a conviction. Should That Evidence Have Been Allowed? In the context of numerous prior attempts to harm or kill her husband, the prosecution was able to establish that Dippolito did have every intention of going through with the hit. Without that evidence, the prosecution has a videotape on which it is apparent that Dippolito is attempting to hire someone to do away with her husband. This included an exchange in which the hitman asked Dippolito whether or not she was sure that she wanted her husband to die and she responded “like 5000% sure”. The biggest mystery is: Why couldn’t the prosecution secure a conviction based on that evidence alone? In response to an appeal, the prosecution has argued that even if the judge made a mistake and that evidence should never have been heard by a jury, that decision would not materially affect the outcome of the case since their other evidence was so strong. The only problem with that argument is that it already did. The Skier Law Firm P.A. 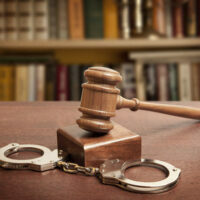 in West Palm Beach helps those accused of crimes the best defense they can under the law. Give us a call or contact us online to set up an appointment today.